Savor the Aroma, Taste the Flavor, Spread the Passion. Pickles and Spices. A couple of complementary players in Malaysian food. Mmm...! Of all the food ingredients in the world, nothing could beat the spices. Fragrant aromas. Vibrant colors. World trade thrives on them. Food is bland without them. Then enter pickles - your tongue tingles from thinking about them. The smell of vinegar makes you drool. Without these two kinds of culinary treasures, your palate would be very dull indeed. Lucky you! The pickles and spices of the East that used to come halfway around the globe in ships guarded as closely as gold are now available at your local supermarket. The secrets of how to use them in traditional and not-so-traditional dishes are right here at your fingertips. 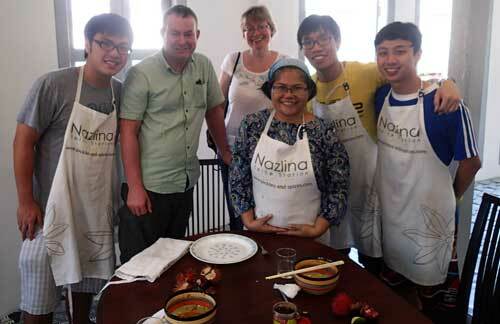 Imagine creating... in your own kitchen, authentic Malay recipes that took hundreds of years to perfect. Your family and guests will be drawn to the table by the aromatic waft of slowly simmering creamy coconut curry flavored with lemongrass and kaffir lime leaves. The wonderful smell of cumin, coriander and cinnamon from your bubbling pot invading your neighbors' kitchens will lure them to your front door. You will tickle their taste buds with the sharp nip of ginger. Your pickles will be the envy of your neighborhood. In short, a gastronomic delight! Each of your meals can have that extra oomph from the endless array of tempting aromas, varied textures, and tantalizing tastes. Side dishes and condiments containing these exotic pickles and spices will color your culinary world. 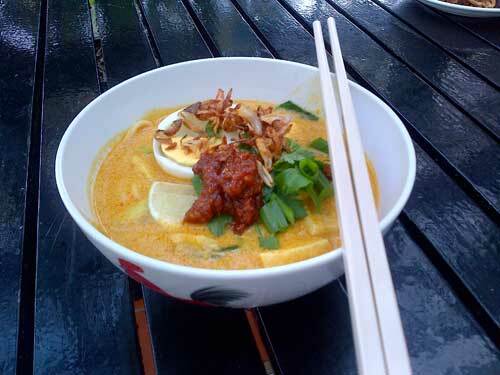 You'll find some elusive recipes of Malaysian cooking here. I'm going to share several tips so that you will know. For example, why is it to make beautiful biryani you would have to sautÃƒfƒÃƒ,Ã‚Â© the spices first instead of the onions? How to make smooth homemade kaya which would not turn lumpy? That's not all, after learning how to make all these delicious treats, I'll also give you some tips about storing pickles and also spices. Before, if you thought that only cucumbers and onions are pickled, you are in for some delightful surprise. The endless list of pickles variety is extraordinary! 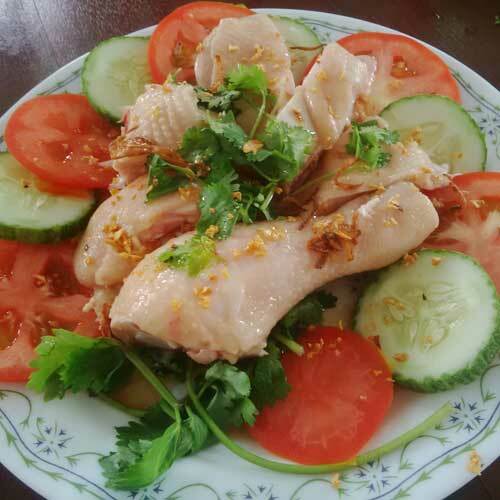 As a Malay woman who is a passionate and curious cook, I bring you the wealth of my ancestors passed on to me before the old ways began to give way. Not to worry, I am also an adept in modern cooking and the latest electronics appliances. 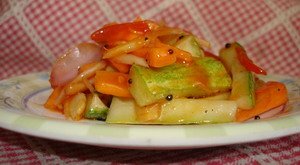 So, get ready to explore and experiment the flavors that this pickles and spices web site has to offer. Including the description on where to buy Penang's world famous fruit pickles. One of the many cooking classes. From making tasty beef rendang to delicious laksa, it is my best interest so that you will know how to prepare these classic recipes. You will have confidence to entertain your special friends and family with meals that you prepared yourself. What exactly are Penang special food like Nasi Kandar and Penang Achar? 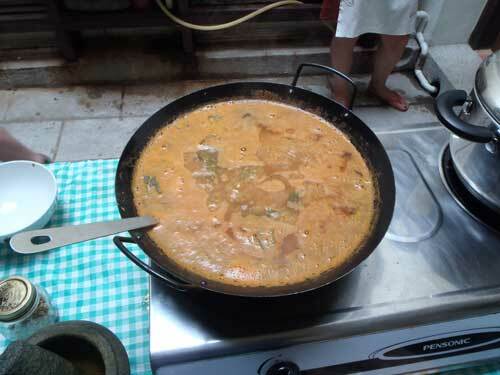 And...other traditional Malay food that you only read or heard about? Do you know that ancient Malay people weaved intricate sacks out of coconut or banana leaves to store food for traveling? I can see you are intrigued. Wonder no more. You have come to the library of an expert cook. I will even guide you to the secret of how to bake the perfect Kek Lapis Indonesia (Indonesian Spiced Layered Cake). My Pickles and Spices List of Recipes is being added from time to time. Come often to check out the latest additions. 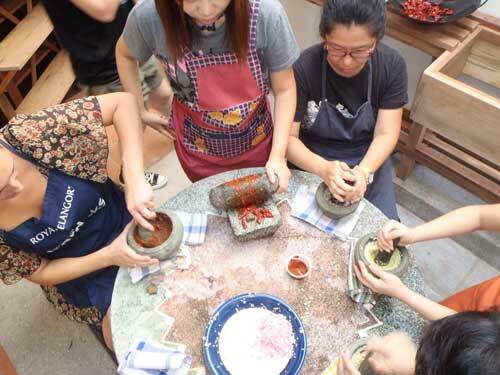 Attend my cooking class to learn making traditional food. Daily except Sunday @Nazlina Spice Station. 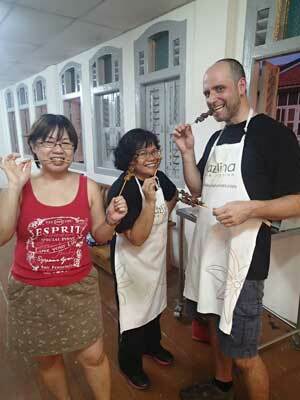 The morning class includes Penang Market Tour. Learn how to make biryani, step by step, fully illustrated with photos. How to make a yummy homemade kaya? I have the recipe that can't go wrong. 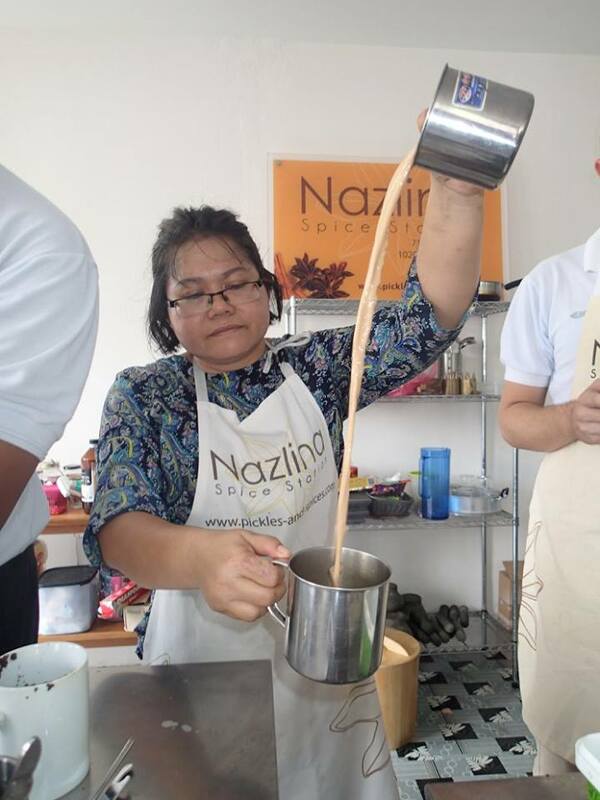 Make your own kaya which looks great and taste even better. On special demand we offer cooking classes for children from 5 to 14 years old: a unique experience for your children!